Following recent controversy over Uber’s customer service model and transition to in-app support, risk management firm Chargebacks911 proposes that expanding customer support options can help boost the brand’s profitability and reputation. Monica Eaton-Cardone, co-founders and COO of Chargebacks911, encourages Uber to increase customer service options for their consumers. Allowing consumers to contact support via their preferred communication method and at their convenience can pay tremendous dividends in the long run. Since ridesharing service Uber launched in 2010, the company’s valuation has climbed to $68 billion (1), and its platform now supports millions of trips each day across 69 countries (2). However, Uber has recently faced criticism from both consumers and contractors over its customer service practices. Monica Eaton-Cardone, co-founder and COO of dispute mitigation and risk management firm Chargebacks911, proposes that expanding customer support options can help Uber minimize chargebacks, enhance its reputation, build loyalty and boost profits. In early March, BuzzFeed published an investigative story on Uber’s “customer service struggles” with critical commentary from a number of former customer service contactors (3). At the end of March, Uber announced that it would be phasing out its email support in favor of an in-app solution, adding that the new approach had already increased customer satisfaction by 10% and improved response times (2). Yet some observers noted the new system “can appear limiting” (4), and users have publicly called out Uber for its lack of customer service options and unsatisfactory responses (5, 6). While restricting customer support to one or two delivery methods can reduce the volume of inquiries received through those channels, Eaton-Cardone cautions that the “overflow” complaints don’t go away. If customers can’t get timely assistance or their desired resolution from a company’s support team, she warns that they often turn to news or social media to vent their frustrations and most likely will resort to chargebacks for a refund. In such cases, any money saved on support services could potentially be lost to negative publicity, a diminishing customer base and chargeback fees. Eaton-Cardone advises Uber to expand its customer service channels to include a 24-hour support phone line and online chat in addition to its existing email and in-app support. She advocates that companies that transact through apps, like Uber, regularly review atypical statistics such as retention analysis, A/B policy review, and chargeback source analysis. “Allowing consumers to contact support via their preferred communication method and at their convenience can pay tremendous dividends in the long run. It not only resolves problems more quickly, but it can create greater customer satisfaction, boost brand loyalty and increase the likelihood of positive rather than negative publicity. In addition, focusing on customer retention and risk management can help minimize chargebacks and related fees—preserving more revenue for maximum profitability,” she added. Online service providers and eCommerce merchants can learn more about risk management by requesting a free chargeback analysis from Chargebacks911. 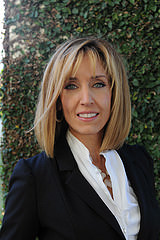 Monica Eaton-Cardone is dedicated to helping businesses prevent fraud and chargebacks, and will be speaking on these topics at the upcoming CNP Expo in Orlando and Ticket Summit in Las Vegas. She is available for interviews and future speaking engagements. For further information on Chargebacks911 and its comprehensive risk management solutions, visit http://chargebacks911.com. Global Risk Technologies is most known for its role in payment processing solutions that cater to each side of the value chain: Chargebacks911.com and eConsumerServices.com. The firm is headquartered in Tampa Bay, Florida, with offices in Ireland and Atlanta. They have approximately 350 employees worldwide and currently manage over 150MM in transactions each month, with clients located in the U.S. and Europe. Chargebacks911 is a division of Global Risk Technologies, and was developed specifically for merchants to offer immediate aid through proprietary technology and provide the necessary function that gives merchants the freedom to focus on their core competency and optimize their in-house skill set. Chargebacks911 focuses on chargeback mitigation and risk management. They specialize in servicing Internet merchants and acquiring banks, offering dispute response solutions and deep analytics. Chargebacks911 works with their client base to help them keep dispute rates down and retain their ability to accept credit cards. For more information, visit http://www.chargebacks911.com.